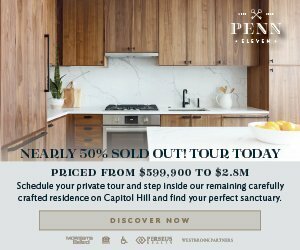 The sixth annual Entrée DC Program takes place Wednesday, September 18. Co-hosted by the Department of Consumer and Regulatory Affairs (DCRA) and Washington DC Economic Partnership (WDCEP), this event that connects the food and beverage industry with DC public and private sector resources. The event is an opportunity for people in the food and beverage industry and those wanting to get into it to network and learn. 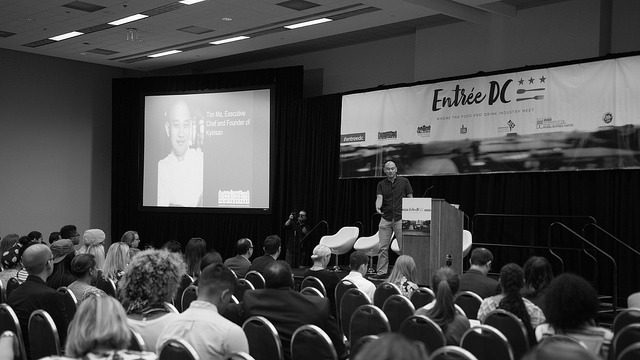 Connect with budding entrepreneurs, thriving businesses and industry giants disrupting the hospitality industry in DC. Hear from leaders in the field about how to market, grow and expand a business. Sit down with permitting specialists to learn the ins and outs of regulation and find the right suppliers for food and beverage industry needs. The full-day event includes sessions on Navigating the Regulatory Process, Accessing Capital and Financing, Marketing Trends to Enhance Brands, and Leveraging Technology in the Food and Beverage Industry. Speakers come from both the DC agencies and the food and beverage industry, touching on issues of industry growth and regulation. The event keynote speaker is Rose Previte, founder and owner of Maydan and Compass Rose. Session panelists include Ashok Bajaj, founder of Knightsbridge Restaurant Group, Co-Founder of Right Proper Brewing Company Thor Cheston, Founder of Whisked! Jenna Huntsberger and Director of JL Restaurant Group Business Development Shane Mayson. The opening session features Deputy Mayor for Planning and Economic Development Brian Kenner, Director of DCRA Melinda Bolling and President and CEO of WDCEP Keith J. Sellars. Exhibitor Opportunities are available for this free conference connecting the food and beverage industry to public and private sector leaders and resources. 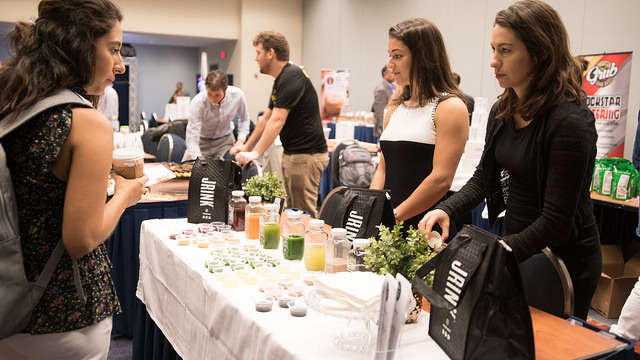 Local DC food and beverage companies can also take advantage of the opportunity to provide samples of their awesome products to the who’s-who of the DC hospitality industry at the WeDC Tasting Lounge. The event takes place from 8 a.m. to 12 p.m. Wednesday, September 19th at the Walter E. Washington Convention Center (801 Mt. Vernon Pl. NW). It is free and open to those wanting in the industry and those wanting to join in who also want to network and learn more how to succeed. Register online or learn more on the Entrée DC website.